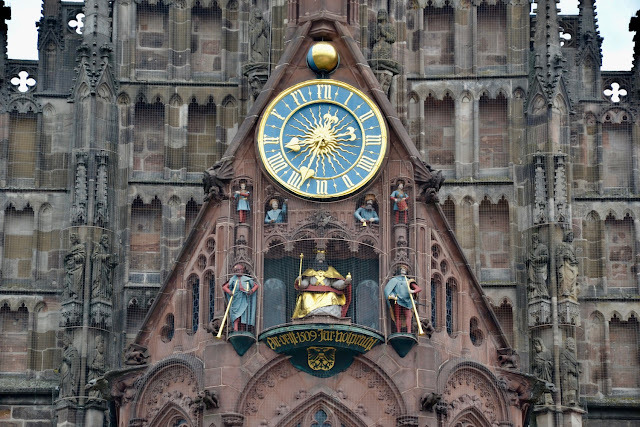 Nuremberg is a city full of old medieval buildings… or is it? Tomas, our cruise company’s driver, met us at the airport. He was a big man in his seventies, and although I felt bad about it, he lifted our cases into the bus with practiced ease. I’d known that the Allies had bombed Nuremberg but apparently 90% of the old walled city was razed, in January 1945, by RAF bombing, leaving only rubble; within that month, 6,000 residents died. It was hard to hear – my own father had come home to UK from a German POW camp in the spring of 1945. We’d arrived mid-afternoon and our first job was to venture out to get our bearings, find Nuremberg sausages, and a stein of German beer. 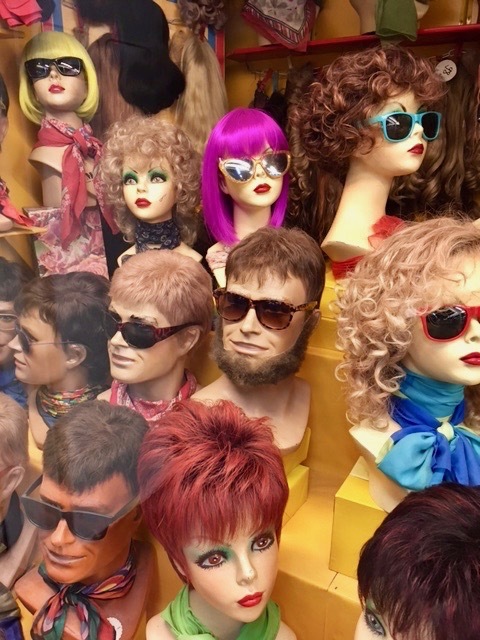 It wasn’t hard, Nuremberg is famous for both – make your choice: street stall, restaurant, or biergarten. We opted for the latter. I love German beer and with the day's temperature at 34°C it disappeared quickly. And, those little Nuremberg bratwurst; like sausage fingers, usually served three to a bun; mmm. I got 6 with no bun! Then it was time to walk around the old city, nestled within its medieval wall. Not knowing the city before WWII it was hard to tell that so much had been lost. We entered the major churches; all rebuilt and restored over many years. 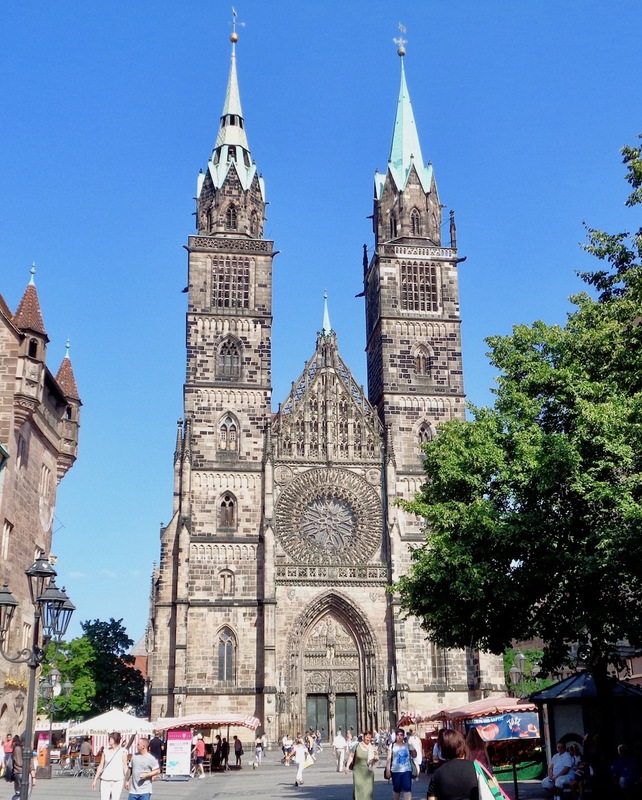 Nuremberg was a free imperial city under the Holy Roman Empire and through the Reformation, when it emerged as primarily Lutheran (Protestant). 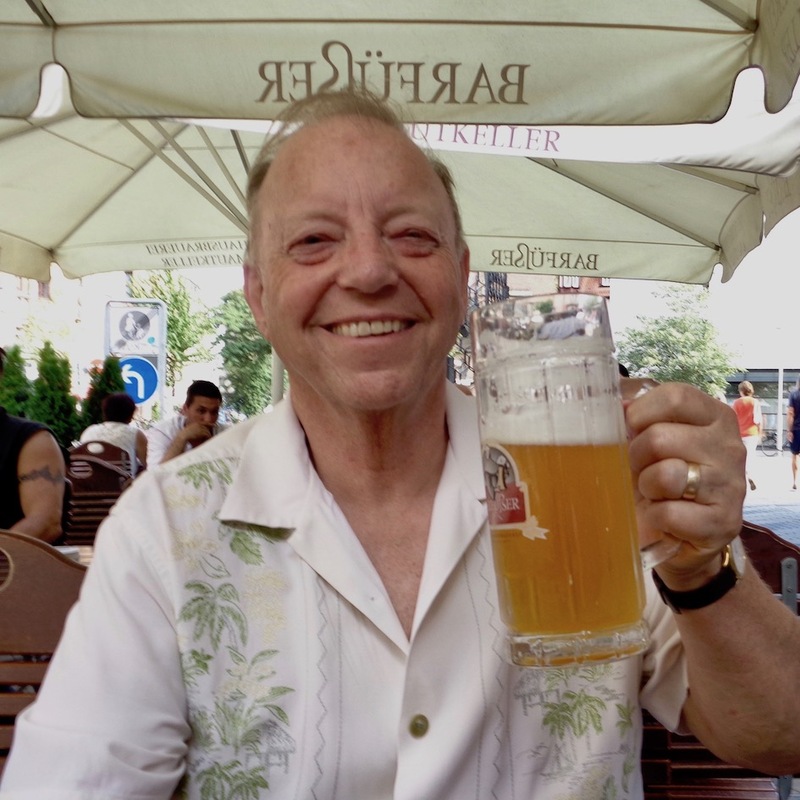 Eventually, it was incorporated within Bavaria, a Catholic region, under Munich – “we call them ‘lederhosen',” Tomas says, laughing. 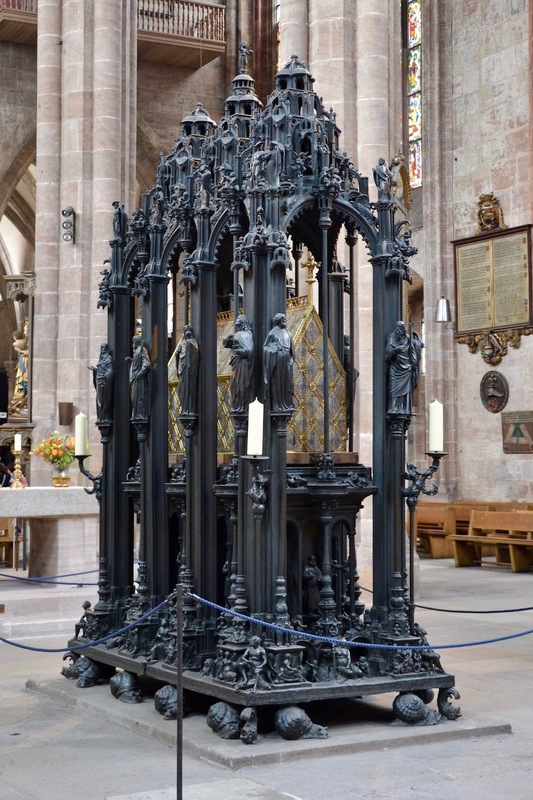 St Sebaldus, built in the 13th Century, contains the relics of this saint who was a local hermit and missionary. 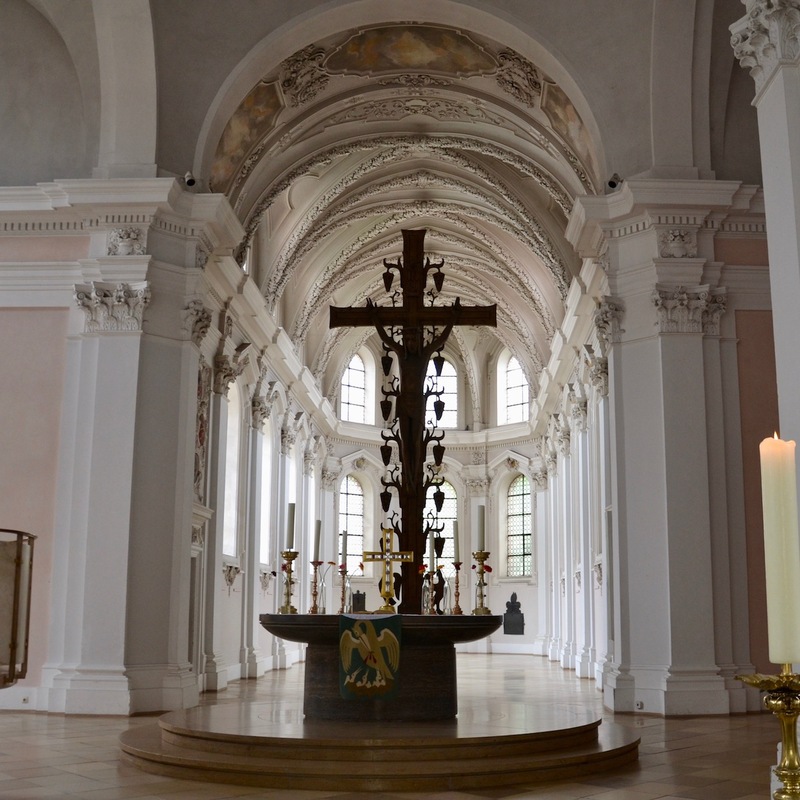 As with all of the churches within the wall, it was restored after the war – many pictures are displayed as remnants of its fundraising campaign. 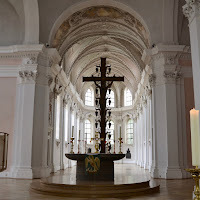 The famed Baroque composer Johann Pachelbel (he of the 'Canon in D'/Whiter Shade of Pale) was organist here. 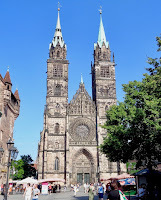 The Church of Our Lady (Frauenkirche) is a symbol of Nuremberg. With its animated clock, it dominates the ‘Hauptmarkt’ (main market) square. Filled with brightly coloured stalls selling produce, the Hauptmarkt hosts one of Germany’s most famous Christkindlesmarkts each December. This event is launched from a balcony on the face of Frauenkirche, just below the clock. I guess we were too early though, despite searching everywhere, we couldn’t find a Nuremberg Christmas Angel. But we each manage a nod and a warm ‘Gute Nacht’ as we leave. So glad you've been on your travels again! I've missed your travel blogs. It certainly was, as you’ll see. Thanks Howie. Love seeing that smiling face of yours with that enormous (!) mug of beer! Whoa! And the beautiful archways in those churches...Phoenix of faith, hope and beauty rising out of the ashes of war. Thank you! If you're in Germany and Austria for a bit longer, you should check out the local Christmas markets. Nuremberg has a very good one but then so do many of the small towns and villages. Thanks Arthur. We would have loved to, but we were only there for a week in August.